We’ve all seen them from time to time across the Internet: those crazy, shocking, weird, yet hilarious-looking animals that make you think God and Mother Nature really are in creation cahoots and both have a wacky sense of humor when it comes to passing out the DNA and evolutionary patterns. Surprisingly, there’s no shortage of these freaks of nature, so kick back and enjoy a daily dose of WTF, WTH and LOL all at once while reading this top 20 list sure to amaze. 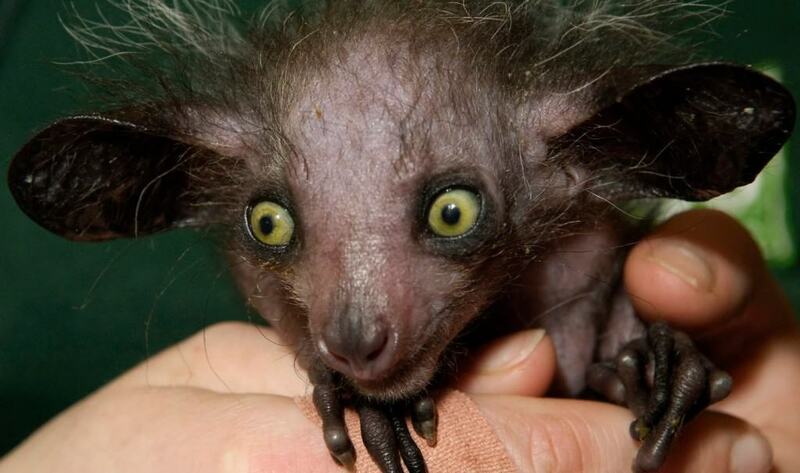 This creature is a species of lemur from Madagascar. It has a long middle finger for digging out insects from trees. You could easily say this is “King Julian’s” crazy cousin. G’day, mate! 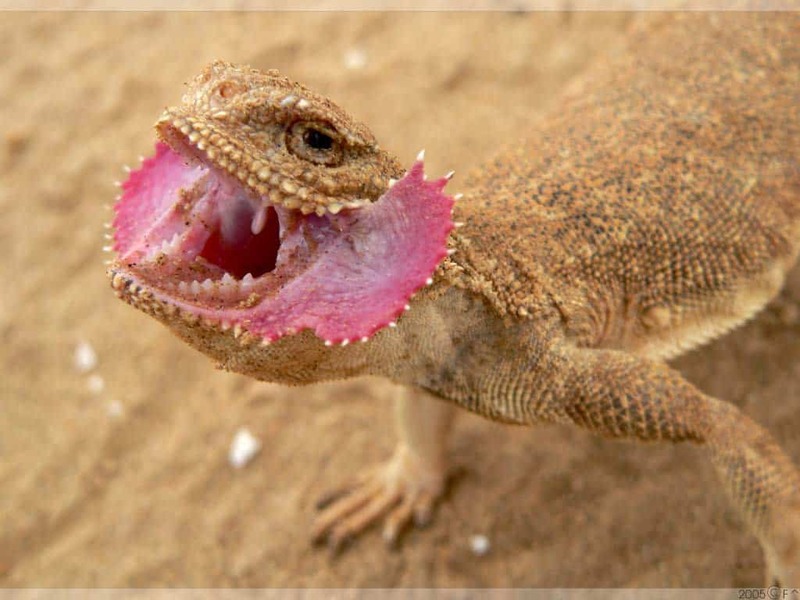 This truly crazy-funny reptile comes all the way from Australia and New Guinea. Due to its hilarious running style, our rather Shakespearean looking friend has earned a top spot in humanity’s estimation of weirdness. 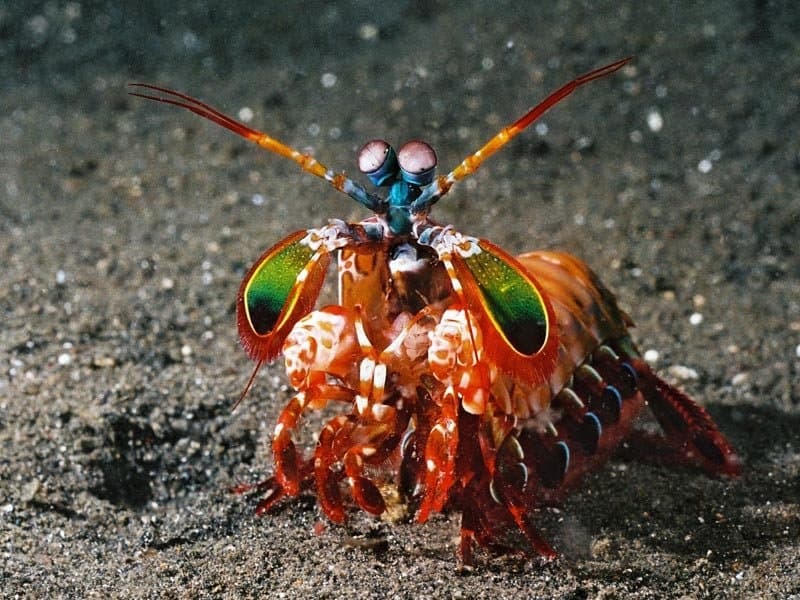 This little-understood crustacean is known not just by its brilliant, fiesta-like colors, but also by its ability to create serious gashes in your hand if not handled with care. Definitely a crazy party animal, with some possible anger issues. Just because something’s called a fish, that doesn’t mean it knows how to swim. This creatures gets around by using its pectoral fins to “walk” on the ocean floor. 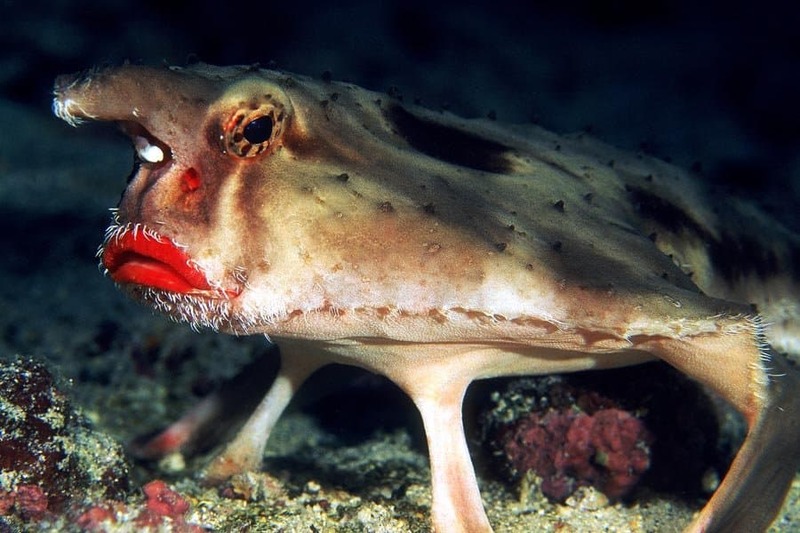 The thing yet to be determined is if this fish is wearing lipstick, or if its lips are just red from determination to evolve, darn it! If life is a little “ruff,” look to these dogs for some chilled-out times. 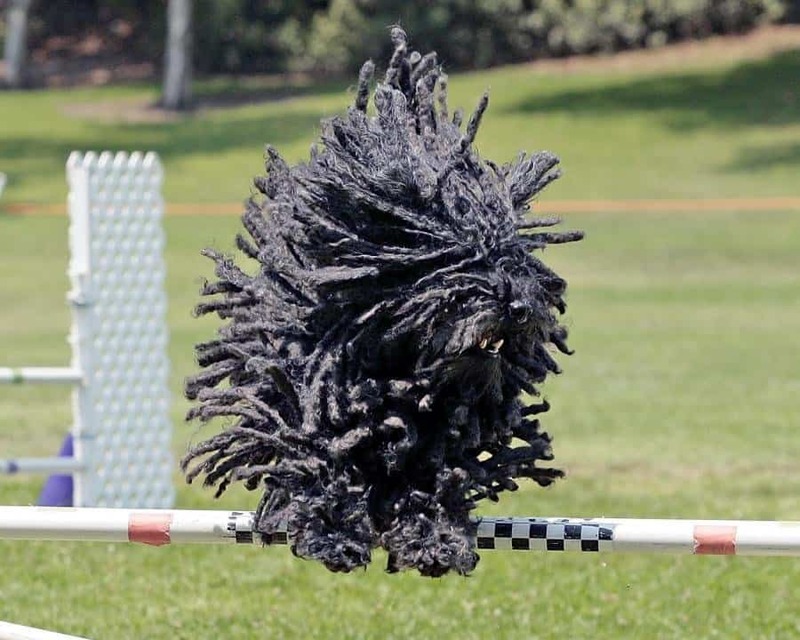 The Puli is a Hungarian hunting dog with fur that will either make you think of a mop—or Bob Marley’s dreads. Either way, you can’t help but feel mellow just looking at this guy’s shaggy fur. 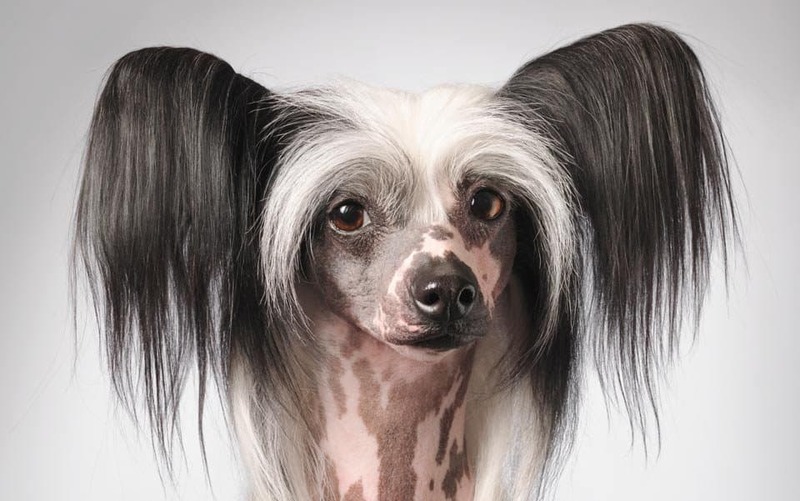 Among one of the craziest-looking dog breeds out there, the Chinese Crested has earned a reputation for having some pretty hilarious hair issues sometimes, especially when its very obvious tufts of fur look like this sweet-tempered dog’s stuck a paw in an electrical socket. Sure, when it’s groomed, it looks nice, and it’s playful, but truthfully, when its hair’s a mess, it’s more than LOL-worthy. 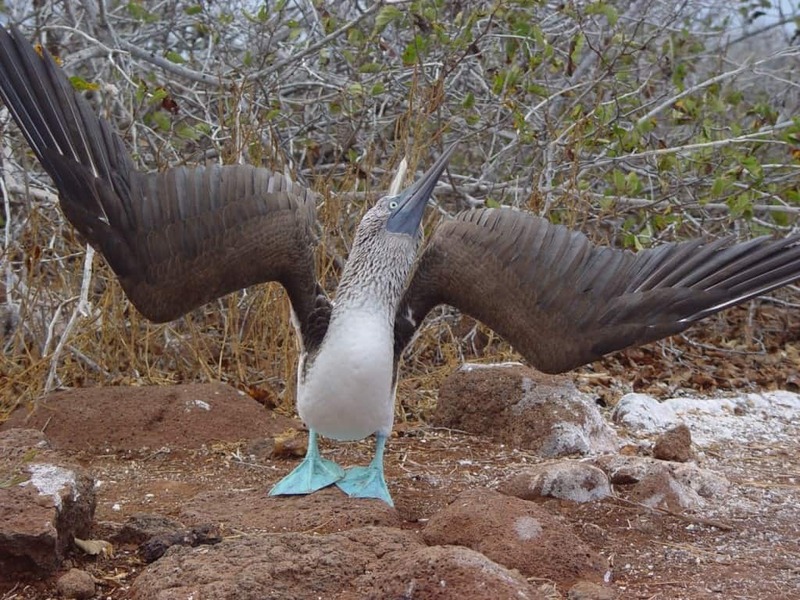 Known, obviously, for its blue, webbed feet, this Galapagos-island-dwelling bird earns a spot in the funny animals list partly for its name, and partly for its feet. Seriously, Mother Nature, Blue feet? Most have likely seen this bird featured in various memes around the Internet, and rightly so. 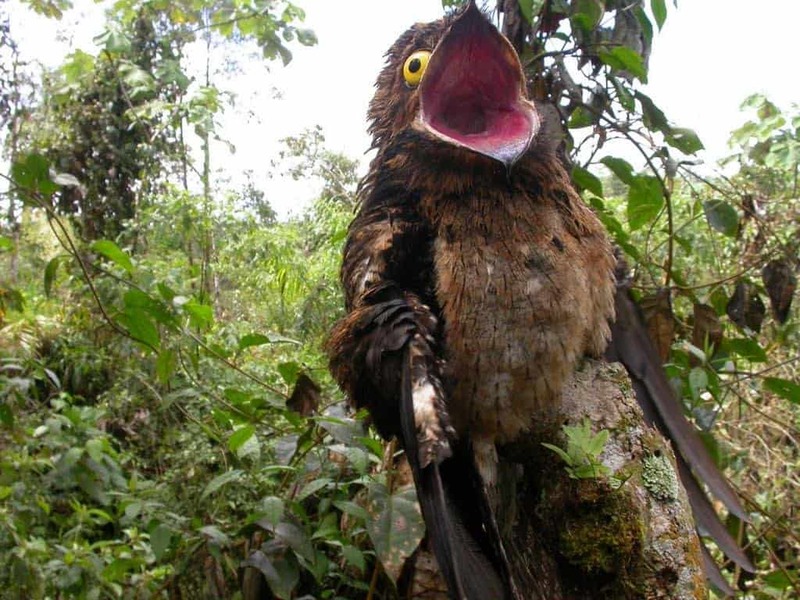 The common potoo, native to Central and South America, has the craziest, funniest eyes you’ll ever see. 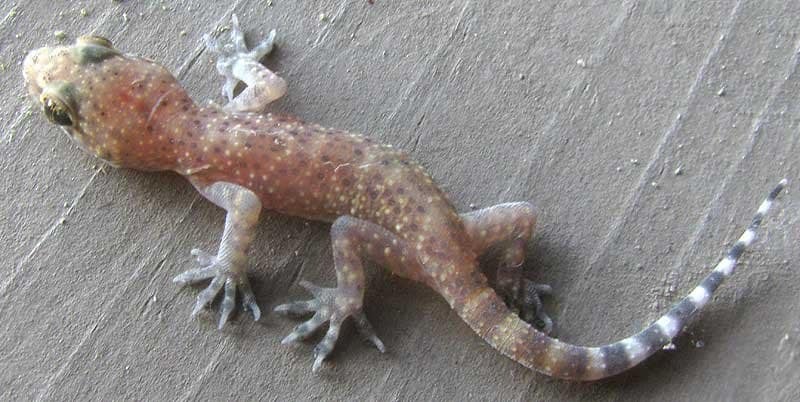 We all know the lovely lizard laddie from the car insurance commercials, but truly, have you ever seen a house gecko up close and personal? 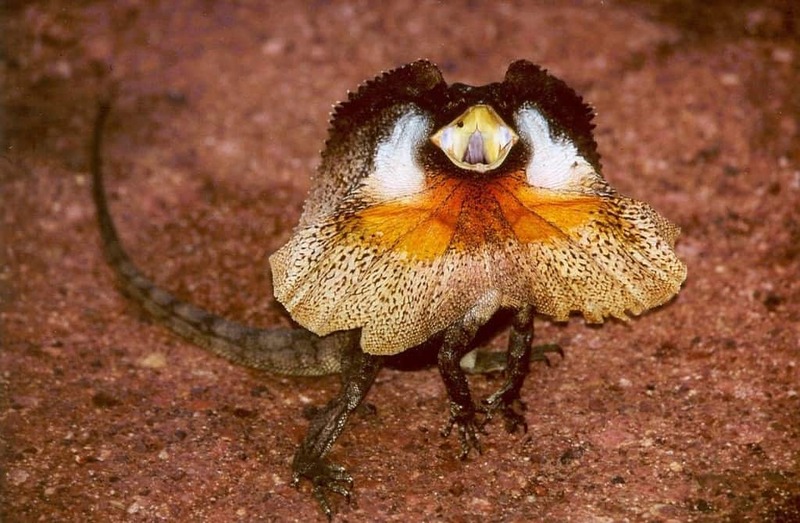 This Arabian lizard looks somewhat like the frilled lizard, only it doesn’t have a big “frill.” Instead, this fella has flap-like extensions on the sides of its mouth when it’s being territorial in various ways. The agama is insectivorous, which likely means it will make your friendly neighborhood crickets his lunch. 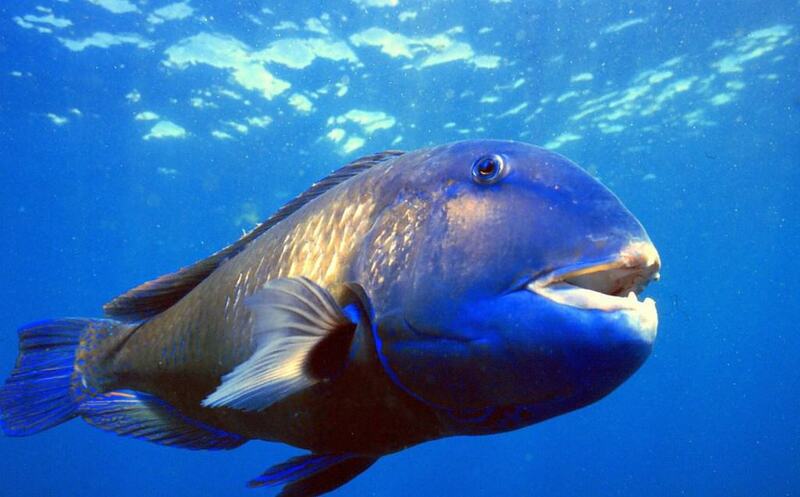 Another party animal of the seas, the blue parrot fish should really be the clown fish, and the ones that are actually clown fish, well, they could just be called orange and white striped fish. Competition, competition. It’s always about competition. 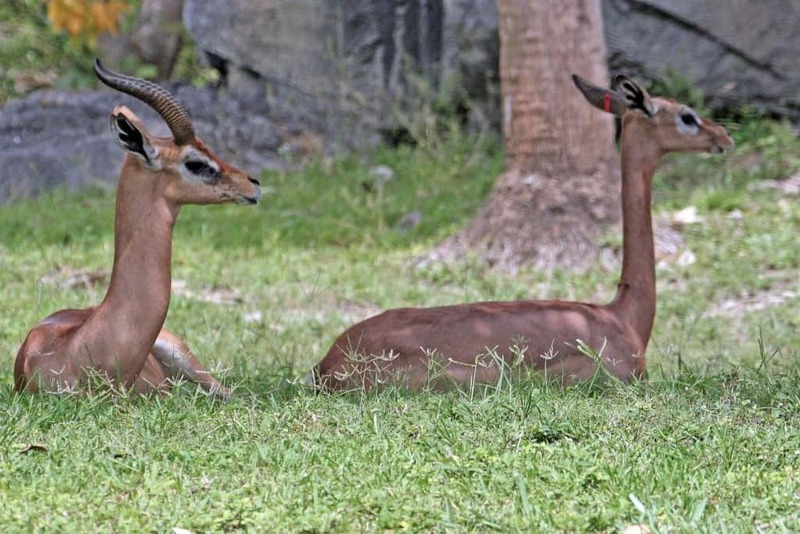 The gerenuk earns a spot mostly because of its truly un-quadruped-liked habit of standing on its hind legs to reach leaves closer to the tops of trees. 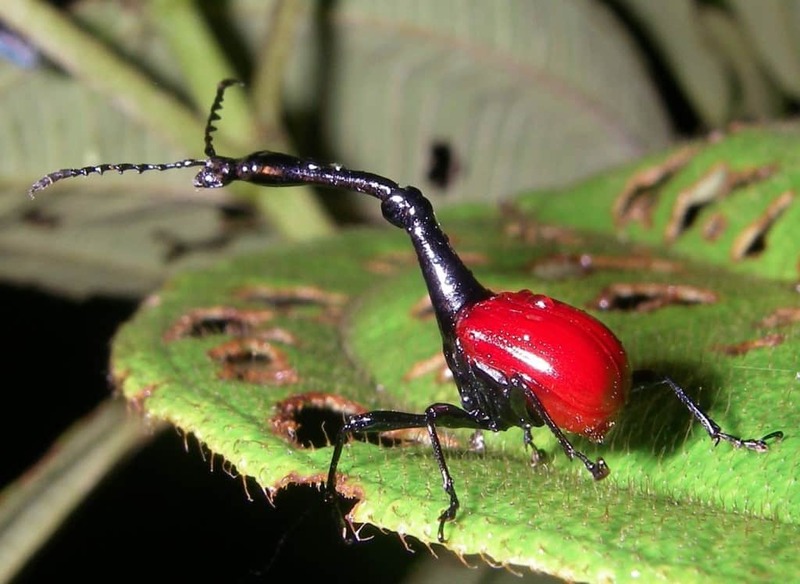 Seriously, have you ever seen an antelope-like creature do this? This is truly giraffe-like behavior, but without it being a giraffe. 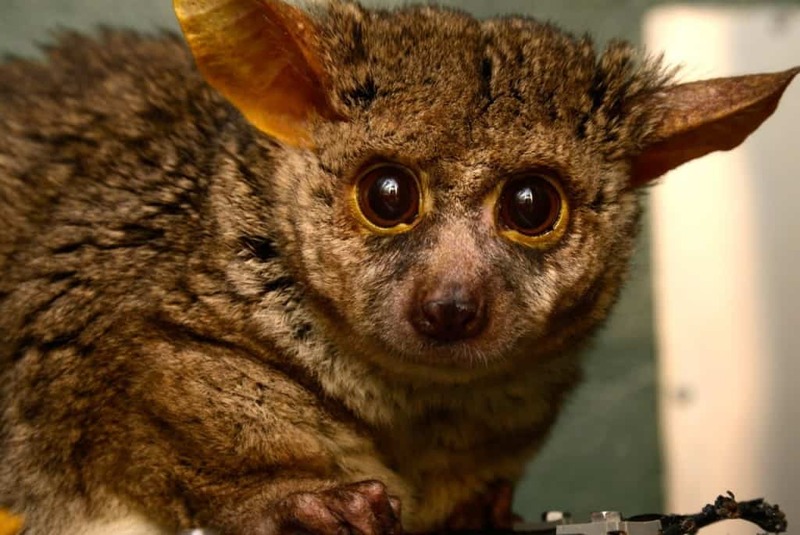 Native to Africa, bush babies not only rate on the cute meter, they rate on the funny meter, too, just because of their wide eyes. Seriously, Mother Nature, are you kidding us? He looks like he’s had too much caffeine! 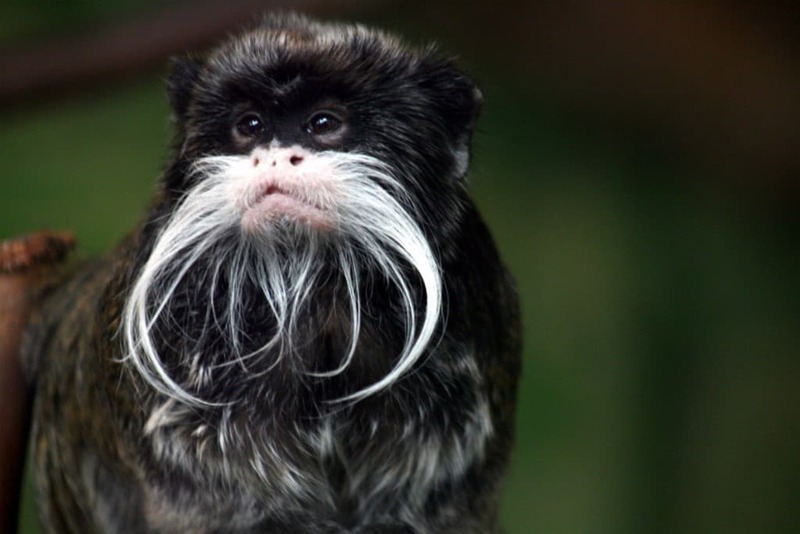 Known for its rather “Fu Manchu”-like mustache, this particular primate rules over its Peruvian domain in western South America. And perhaps the Emperor tamarin is also rightly named because of its rather aggressive, dominant behavior. 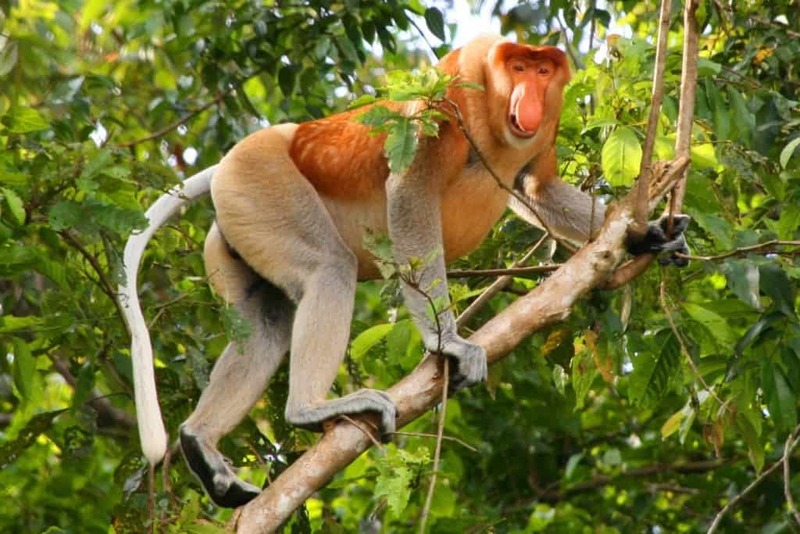 Truly one of the weirdest, funniest-looking monkeys you’re likely to ever see. Apparently they have “a nose” for finding mates, because that’s what they use: their noses. Who’d have thought noses could be such a point of attraction? 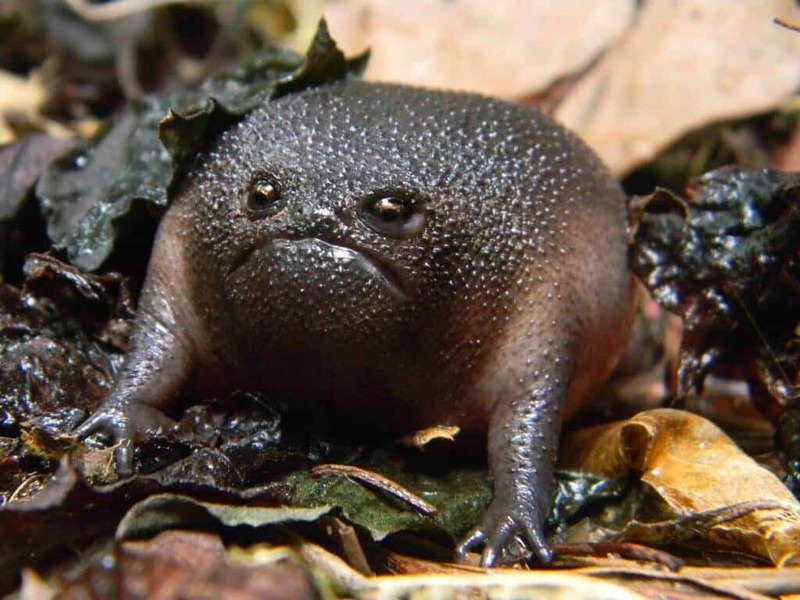 Just looking at it, you’ll want to laugh — or at least chuckle, because it looks like a bullfrog just went and had way too many flies — or he’s trying to impersonate a rock. Talk about something that you’d see in a sci-fi movie of some sort. Pretty freaky. 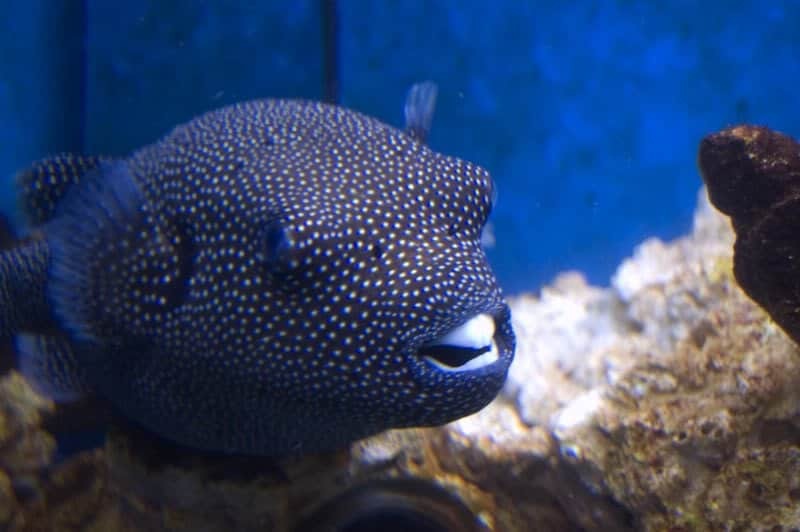 This is a different sort of puffer fish: it has the markings of a guinea fowl, but it puffs like a puffer fish, and it has a set of impressive buck teeth. So it’s a fish with teeth like a bunny. Definitely funny! 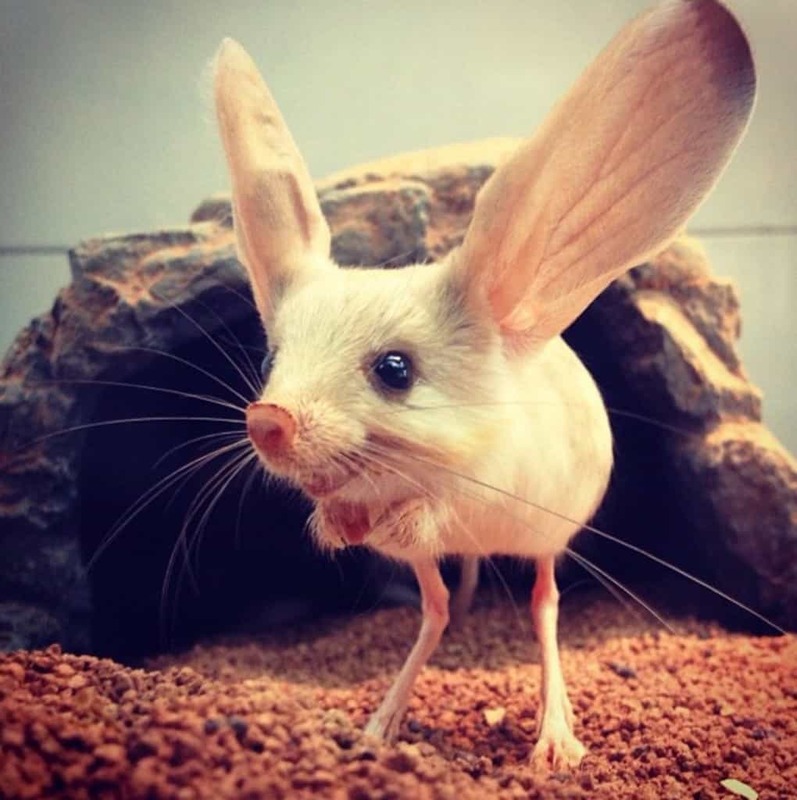 I can’t tell if Mother Nature decided to try and improve on both rabbits and mice and didn’t quite make it, or something triggered a mouse’s desire to look like Ross Perot at one point — provided it knew anything about Ross Perot at all, because this little guy is from Mongolia. Highly doubtful it knows anything beyond searching for food and otherwise surviving. 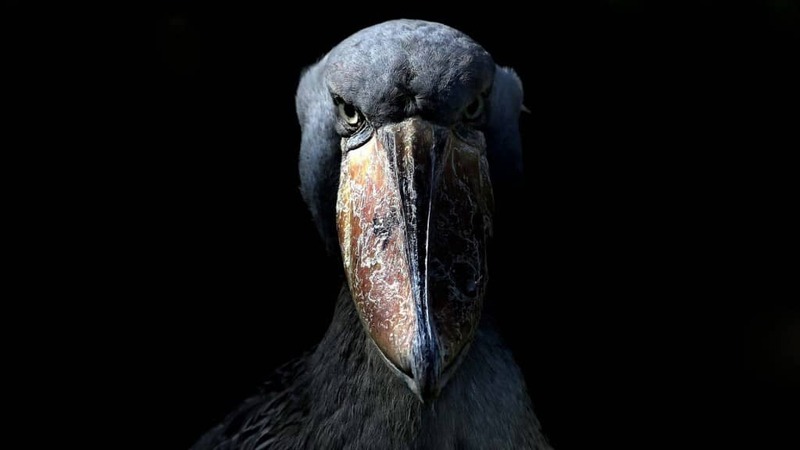 This relative of storks is so named because of the way its bill is shaped: well, like a shoe. This bird seriously begs to be captioned with something truly hilarious, simply for the way its face looks, overall — like it’s laughing at you, going, “Haha! I won a prize and you didn’t” or something like that.